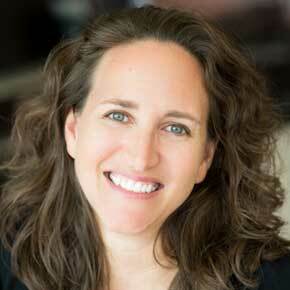 JENNIFER STEVENS is International Living's Executive Editor. She's traveled through 23 countries in Latin America, the Caribbean, Europe, and Africa—many more than once—writing about the best locales for overseas travel, retirement and investment. Jennifer is also the author of the Ultimate Travel Writer’s Program and teaches travel writing at workshops throughout the year. In past incarnations, she wrote marketing studies for the Foreign Commercial Service in Paris and taught high school English on an East African island, where she served for two years as a Peace Corps Volunteer. We at International Living are sending one lucky winner (along with a friend or spouse) to Coronado, Panama for a full month in 2014—free. The prize includes round-trip flights from the U.S. or Canada to Panama City, furnished accommodation in the beach-resort town of Coronado, plus a living-expense stipend of $1,500. You ain’t nothin but a hound dog...cryin’ all the time... Well, you ain’t never caught a rabbit... And you ain't no friend of mine... Elvis was in the house last night. Young Elvis. Dressed in a nicely tailored black suit with a white, open-collared shirt, he serenaded our VIP readers over cocktails in the 20th-floor penthouse here at the Red Rock Resort in Las Vegas. 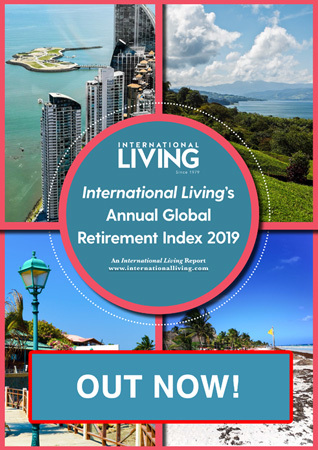 As I wandered through the crowd yesterday evening, I was pleased to hear that—the occasional Elvis recollection aside—the conversations had turned to the details shared thus far about the world’s best retirement destinations. "From curried kale chips to soy milk...every time I say, 'I wish we could get that here,' the person I'm talking to tells me we can and where I can go to pick it up...or I stumble on the item myself at the store two weeks later," said Jessica Ramesch this morning to a packed house of 800 International Living readers. "Panama just keeps getting better and better." "You may have sunglasses on right now, but I’d say you wear rose-colored ones more often." That was the first thing a reader—I’ll call him Joe—told me this afternoon. I braced myself. He continued, "I like what you guys at International Living do, but sometimes I get the sense you omit the blemishes when you write about a place. So I was a little skeptical when I got here. I have to say, though—everything we’ve heard so far has felt like the unvarnished truth. And that’s what I came for—the benefits and the drawbacks—so I can compare my options in a realistic way." Like a winter coat in a swimming pool, conventional wisdom can drag you down. Don’t have enough to retire on? Work longer, it says. Want to live well? You need a big house, a big car, and a massive budget.